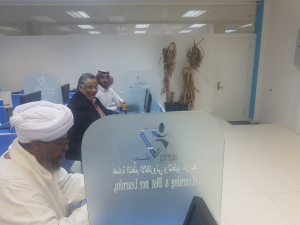 On Sunday, 3 Rajab, 1440 A.H., corresponding to 10 March, 2019 A.C., in collaboration with the Deanship of E-Learning and Distance Education, a training course on the virtual classroom system was organized at the College of Business Administration at the University City in Al-Abdiyyah. The training course was delivered by the trainer Dr. Yusri Nabil Al-Sayyid, who is accredited by the Deanship of E-Learning and Distance Education. 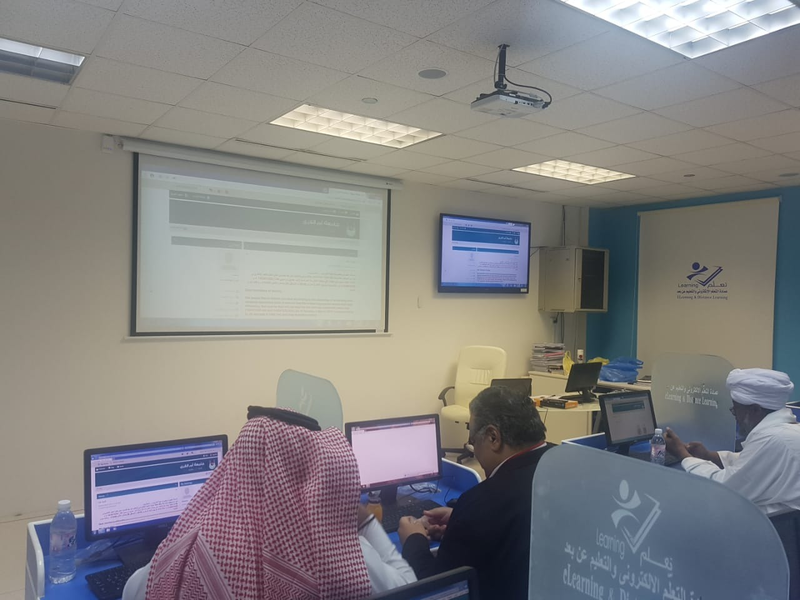 The training course targeted the male and female academic staff. How to create a virtual classroom for the course students. Methodologies of managing virtual classrooms. 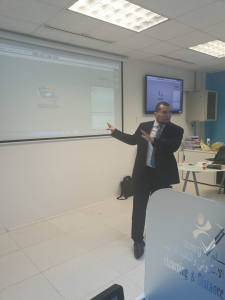 Learning mechanisms inside virtual classrooms. Setting instant questions and tests inside virtual classrooms. Tips to overcome electronic challenges facing students in different virtual classrooms. It should be noted that many training courses are organized in different colleges by accredited trainers in order to provide their colleagues in the college with the necessary skills. This is for them to be able to use all the tools of the e-learning system.